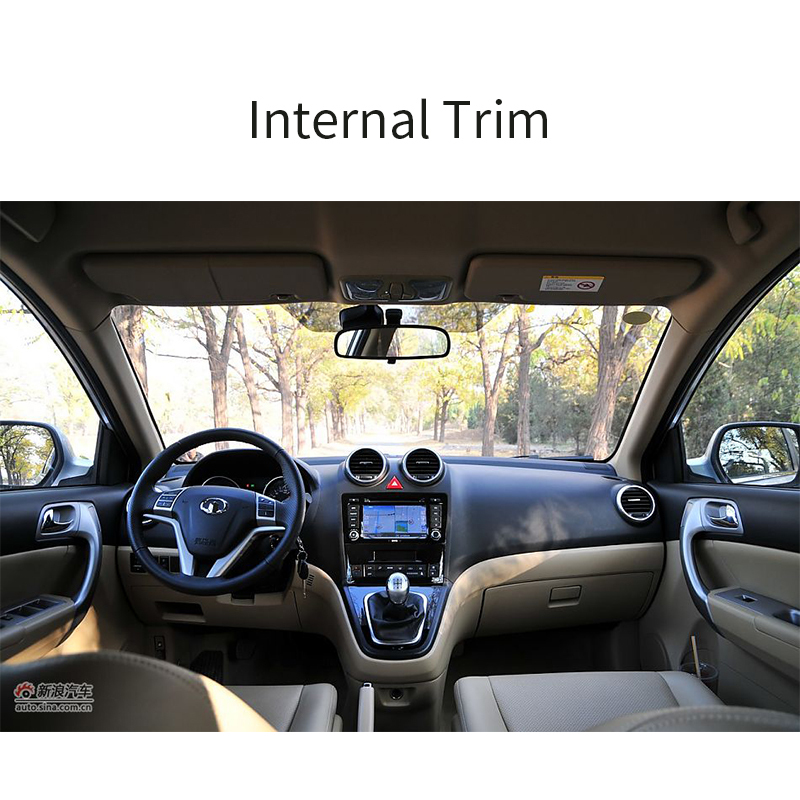 Product categories of Internal Trim Parts, we are specialized manufacturers from China, Internal Trim Parts, Glass Sealing Strip suppliers/factory, wholesale high-quality products of Sun Visor R & D and manufacturing, we have the perfect after-sales service and technical support. Look forward to your cooperation! Car interior system is an important part of Car Body, car Internal Trim Parts is mainly refers to automobile interior refit use of Car Auto Parts, involved in all aspects of the car interior, and interior system design work volume accounted for the car modelling design workload more than 60%, far more than the car shape, is one of the most important parts of the body. This spare part of the parts is not only decorative function, they are involved in the functional, security, and engineering properties are very rich. Car interior mainly includes the following subsystems: Dashboard system, Deputy dashboard system, Door Guard Board system, ceiling system, seat system, pillar panel system, the rest of the cab interior system, the cabin air circulation system, the luggage inside the box, the engine cabin loading system, carpets, seat belts, airbags, steering wheel, As well as in-car lighting, car acoustics system and so on.